If you look up “Prayer Walking” in the Bible, will you find it there? No, not to my knowledge; I can’t find that term in either the Old or New Testament. Does that mean it isn’t biblical to prayer walk? Absolutely not. The essential elements of prayer walking are very much in the Bible. Even though I don’t know who coined the phrase first, I’m glad someone put a name to this effective prayer approach. Prayer Walking is really just one part of a modern day strategy to advance the Kingdom of God on the earth. Each new generation of Christians asks itself: how can we fulfill the command of Jesus in Mark 16:15; “Go into all the world and preach the gospel to every creature”? Each generation comes up with its own unique and culturally relevant ways to present the gospel to its own age. How does Prayer Walking help us advance the gospel of Jesus Christ into the 21st century? To answer that question let’s examine some core reasons why we prayer walk and their biblical basis. When God made a covenant with Abraham he said to him; “Lift your eyes now and look from the place where you are-northward, southward, eastward, and westward; for all the land which you see I give to you and your descendants forever. And I will make your descendants as the dust of the earth; so that if a man could number the dust of the earth, then your descendants also could be numbered. Arise, walk in the land through its length and its width, for I give it to you” (Genesis 13:14-17). I remember the day my house closed and the keys were handed to me by the previous owner. I entered through the front door with great excitement and began going through every room, throwing open cupboards, looking into closets, examining every detail closely. Then I went out in the yard and walked every inch of it. Up and down, back and forth; I repeated the process several times in the first few weeks. At first it didn’t seem real to me that this actually belonged to me but over time I felt myself taking “possession” of my house and property. The house came under my authority deep in my spirit – beyond the legal authority I had obtained at the closing. I believe that is exactly why God commanded Abraham to walk his property. He wanted Abraham to truly take possession of his land and exert his authority over it. Remember that there were others who lived in that land when Abraham walked all through it. And it would be hundreds of years before Abraham’s descendants would physically take possession of the land of Canaan. However, in the spiritual realm, it belonged to Abraham from the moment God gave it to him. It is the same for us now. One of the major reasons we prayer walk is to repossess land currently under the enemy’s control and regain it for God’s kingdom. The sin of Adam and Eve in the Garden of Eden brought a curse to the earth and gave the devil legal ground to exert authority over earthly realms. Though Jesus broke the power of the enemy by shedding his blood and dying on the cross, he leaves it to his church to enforce what he did on Calvary until he returns the second time. While we wait, our job is to take back all the ground that Satan currently holds in his grasp. Every nook and cranny of the earth that does not have the full light of God’s glory and grace is there for us to claim and possess. While we walk, we can boldly proclaim God’s kingdom to come and his will to be done. Several centuries after God first gave the land to Abraham and his descendants the time was getting close for the Israelites to enter into it. After their delivery from slavery in Egypt, the Lord told Moses to; “Send men to spy out the land of Canaan, which I am giving to the children of Israel” (Numbers 18:2). Moses gave the twelve men he sent this direction; “see what the land is like: whether the people who dwell in it are strong or weak, few or many; whether the land they dwell in is good or bad; whether the cities they inhabit are like camps or strongholds; whether the land is rich or poor; and whether there are forests there or not. Be of good courage. And bring some of the fruit of the land” (Numbers 13:18-20). Just as the twelve spies were sent to assess the land of Canaan, a primary purpose of prayer walking is to assess the spiritual condition of the block, neighborhood or city where the prayer walk occurs. While looking, it is very important to see with spiritual eyes and not make the same mistakes that ten of those twelve spies made. After forty days of walking about Canaan the spies returned with a report of what they had seen. All but Joshua and Caleb saw the land with natural eyes and they were afraid. (Read Numbers 13 for the full account.) While they admitted that this was truly a land flowing with milk and honey their final judgment was “The land through which we have gone as spies is a land that devours its inhabitants” (Numbers 13:32). Joshua and Caleb saw the land with God’s eyes and they said; “Let us go up at once and take possession, for we are well able to overcome it” (Numbers 13:30). That’s the way God wanted them to see the land – in faith. He certainly didn’t send them into Canaan as spies to convince them it was bad land and unconquerable. In prayer walking we try to see the land through God’s eyes even as we honestly assess the obstacles. 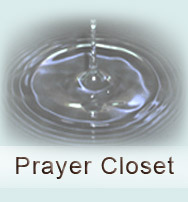 Those obstacles become prayer items to overcome, not abort our mission. Nehemiah was a man in the Old Testament sent by God to Jerusalem after Israel’s seventy years of captivity in Persia. His job was to rebuild Jerusalem. If he were with us today he would no doubt be the CEO of a major corporation because he had phenomenal organizational and motivational skills. Three days after arrival in Jerusalem, this is what Nehemiah says; “Then I arose in the night, I and a few men with me; I told no one what my God had put in my heart to do at Jerusalem; nor was there any animal with me, except the one on which I rode. And I went out by night through the Valley Gate to the Serpent Well and the Refuse Gate, and viewed the walls of Jerusalem which were broken down and its gates which were burned with fire”(Nehemiah 2:12-13). After his thorough assessment of the terrible situation in the city he gathered the Jewish leadership together. “Then I said to them, ‘You see the distress that we are in, how Jerusalem lies waste, and its gates are burned with fire. Come and let us build the wall of Jerusalem, that we may no longer be a reproach'” (Nehemiah 2:17). Nehemiah formulated a strategy for recovery and then acted upon it and had great success. You can read the exciting details in the rest of the book of Nehemiah. Formulating a strategy is a big part of prayer walking. After we walk the land in order to take authority over it and assess its spiritual condition, we strategize. We plan the best way to turn hopeless situations around and restore God’s kingdom. Wherever there is desolation we apply our prayers and take any other actions that might be needed. Until we truly understand what we are dealing with it is hard to come up with the best possible plan. Prayer walking gets us up close and personal with our neighborhood or city so we can target our prayers effectively. Even though the term “Prayer Walking” isn’t in the Bible, the principles of prayer walking are very much there as you can see. Jesus said; “And this gospel of the kingdom will be preached in all the world as a witness to all the nations, and then the end will come” (Matthew 24:14). The “end” refers to his Second Coming. We want to hasten his return so let us use every tool available to us to promote the gospel throughout every neighborhood and city in our land and all over the world. Prayer is such a powerful tool and Prayer Walking gives us an extra edge of effectiveness. I bet Abraham, Joshua and Caleb and Nehemiah would love to cheer us on. Let’s do it! As you start your Prayer Walking, I would love to hear about your experiences so please write me with your comments and questions.